Which Type of Garden Fence You Should Pick and Why? There are many varieties of styles and materials involved when you start to look closer at what garden fencing options are available on the UK market. Over the course of this article we will have a look at all the popular types and try to determine what suits best for various different requirements from solely decorative purposes and up to fully structural fences. The reason we include these options is that there are many types of fence available including the humble wooden types, plastic or wire fencing and hard security style metal fencing. Most people will opt for some type of wooden fence as that is the most common and almost always the cheapest. Just be aware though that other types are available. Just below we shall take a closer look at each type and explain the features and benefits of each type of fencing. Close board fencing is designed to be extremely strong to withstand high winds and combat bad weather in general. The style of frame is quite heavy which means it is much stronger than overlap fencing which makes it much more secure and also much more private. There are a massive range of styles in these fences to choose and you will easily find something to suit your needs. One good feature is that you will be able to have a good visual appearance on both sides of the fence instead of one good and one bad side. I would say this is probably the best type of fence to buy as it can be as fancy or plain as you like yet it is totally functional. 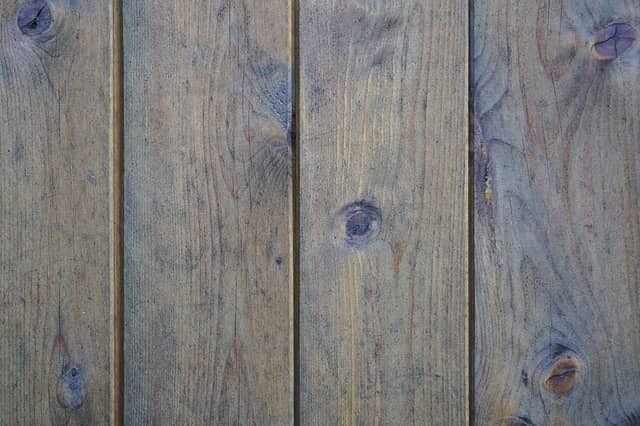 The only drawback of any wooden fencing is that it will have to be regularly treated depending on the quality you buy. Overlap is pretty much a cheaper version of close board fencing. It has the same strong style of frame which also gives privacy and security but is much lighter and cheaper. Basically this is the same as close board fencing and offers all the same basic features and drawbacks. The only thing I have against it is that some of the horizontally overlapping types you can get are extremely flimsy and although you might feel that your garden is secure, that is not the case at all as a child could easily break through it. It is also very prone to cracking and you do have to treat it regularly to stop it from rotting. Of all the garden fencing available this is the one I would least recommend. Even when treated and attached properly it needs a lot of maintenance and honestly I don't think it looks that good anyway. It is the cheapest option but for me just a lot of work required to keep it looking good. 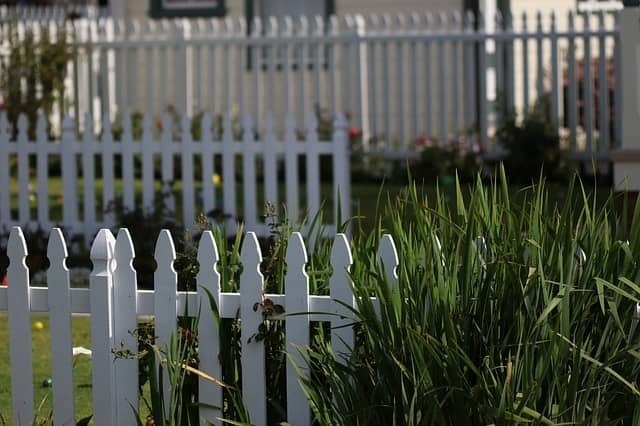 Picket fencing is sometimes thought as an old fashioned type of front garden fence but I think it is still a very pretty type of fencing that is great as a border or boundary when security is not an issue. There are many different styles and a nice picket can add some character to your garden. As this type of fence is usually at the front of the house, many people will paint it to match their existing colour scheme and with the right type of paint, maintenance will be extremely low. It is resistant to strong winds thanks to the gaps which allow the wind to blow through them. It does take some maintenance and will need to be painted or stained once every 2-3 years to keep it in good shape. Post fencing is usually used to separate areas out in a field or garden. It has very little impact on the look of the garden and is often used to keep animals in or out. It is really made up of posts separated out at equal spacing and some sort of wire or mesh stretched between the posts. Very few of us will use this type of fencing as it is more utility than style and you are more likely to see this fence on a farm as opposed to a residential garden. It can work well though if used as a decorative style. This is where small posts are put into the ground, and linked together with something like a white plastic coated chain. These are used to set out an area rather than to keep people out of a certain area, hence more emphasis on decoration. Trellis is mostly used at the top of fencing. The main reason for it is to add style to a fence and the main benefit from this type of fencing is that it doesn’t stop light coming into the garden. It can also be easily attached to the side of a wall. That is great as it allows for climbing plants to grow up it while offering support to the plant. 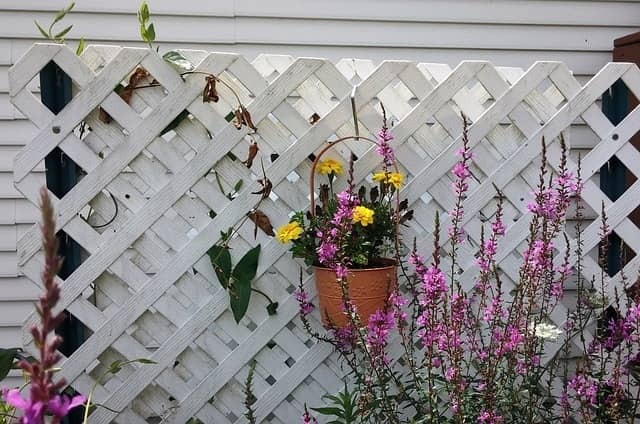 There is virtually an unlimited variety of styles of trellis and it’s really easy to make a great feature from this type of fence, especially if you get some climbers growing through it. You can buy stand alone types of garden trellis fencing or mount it on a wall if that is your choice. 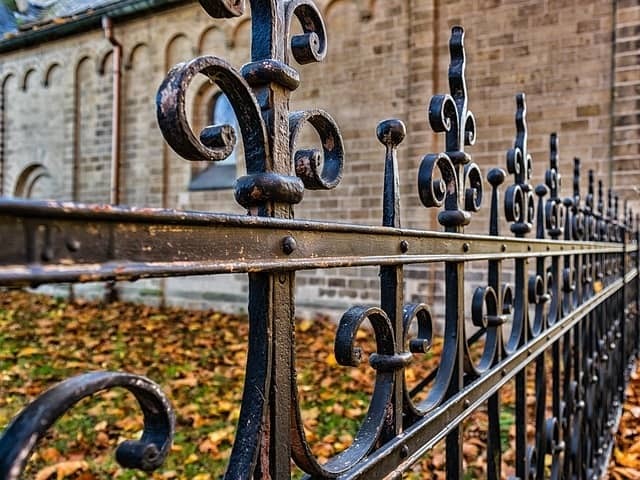 Probably one of the most secure types of fencing, metal railings can come in many different styles and can be as plain or as fancy as you like. 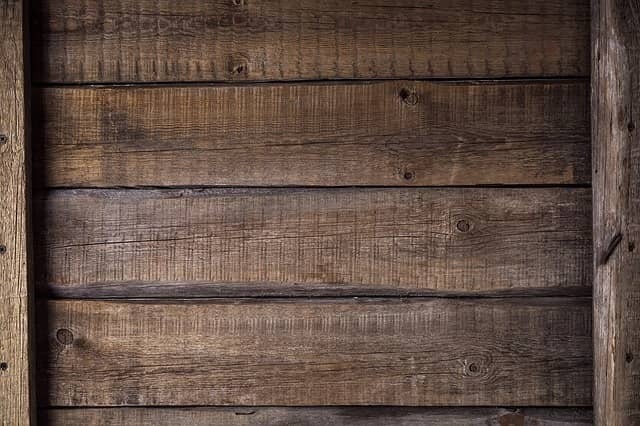 It tends to me more expensive than ordinary wooden fencing and it’s more likely that you will need a specialist to fit it correctly. Fitted properly, these types of fences can last a lifetime and can be extremely decorative. As with picket fencing it’s more likely that this type of fencing will be used in a front garden and painted to match the existing colour scheme. I especially like a shortened type railing that sits on top of a wall. Almost always this is used to match in with a set of wrought iron gates. The metal railings and the gates are or at least should be powder coated to stop them from rusting. Each of these types of fences is really a subject in their own right and that is why we have provided individual links to each type of fencing. 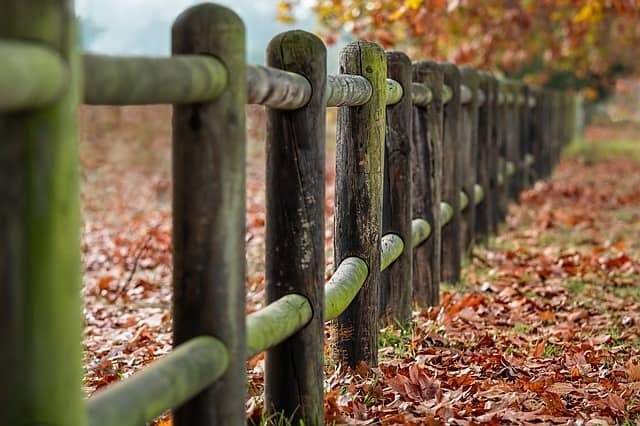 Hopefully you have found this useful in determining what types of fences are available, and which type of fence is best suited for your individual needs.